History of the Rob Roy Recipe! This cocktail recipe was created by a bartender at The Waldorf Hotel in New York City in 1894. It was first mixed for the opening night of an opera called "Rob Roy." This restaurant drink recipe first appeared in "The Savoy Cocktail Book," published by The Savoy Hotel of London in 1930. "Whiskey" comes from a Gaelic term meaning "water of life." Gaelic is the branch of Celtic spoken in the Scottish Highlands. The first written evidence of Scotch whiskey making is in 1614 but it is believed to have been produced in Scotland well before the 1400's. Many recipes for whiskey punches and liqueurs were found from the 18th and 19th century. Today there are more than 2,500 Scotch whiskey brands sold to more than 200 countries worldwide. 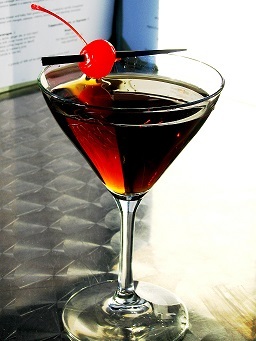 Enjoy your Rob Roy restaurant drink recipe and the company of those you share it with! Did you know? 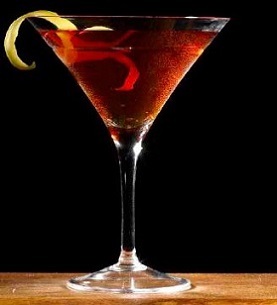 The Rob Roy is named for a Scottish folk hero of the 1600-1700 period who was later immortalized in popular books and musicals. 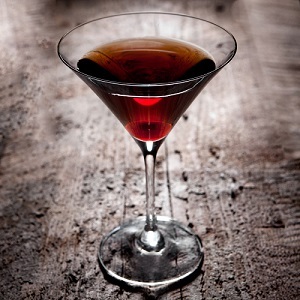 A Rob Roy is basically a Manhattan made with scotch, rather than bourbon or rye.